The 11 most frequently asked questions concerning personal injury claims in Arizona. If you’re considering filing a personal injury lawsuit in Arizona for the first time, it can feel overwhelming. You likely have lots of questions about what to expect and how to take the next step. So without further ado, let’s take a look at some of the most frequently asked questions about personal injury claims in Arizona. The first and most important thing to do following an accident is to make sure you’re safe. Depending on the accident, this might mean moving your vehicle out of traffic or calling an ambulance. Finally, you’ll want to talk with an attorney. Be careful not to discuss the accident or provide a statement to the insurance company or attorney for the at-fault party without first talking to your attorney. Enjuris tip: Need help remembering what to do following a car accident? Download our post-accident checklist and keep it in your glove compartment. Most personal injury claims don’t become lawsuits. In most cases, your attorney will file a claim with the at-fault person’s insurance company. A claims adjuster will then contact your attorney and the two will negotiate (with your approval) a fair settlement. A lawsuit will generally only be filed if a fair settlement can’t be reached. How can I handle my medical bills until my case is settled? If paid, your insurer will later seek reimbursement from the at-fault party. If you don’t have any applicable insurance, you might be able to work out a payment plan with the medical facility. You might also want to explore the possibility of taking out a lawsuit loan to pay your bills while your waiting for your lawsuit to be resolved. What if I’m partially at fault for my accident? Arizona follows the pure comparative fault theory. Under this theory, the amount of damages you can recover is reduced by a percentage that reflects your degree of fault – no matter what that percentage may be. Let’s say the other driver fails to stop at a red light and crashes into you, but you were driving at night without your headlights. A jury might find you 30% at fault and the other driver 70% at fault. Under Arizona’s comparative fault law, you would only be able to recover 70% of your damages from the other driver. Enjuris tip: Read more about fault in Arizona personal injury cases. The best way to find a licensed attorney in Arizona (other than asking family members and friends for recommendations) is through an online directory. One option is the free online directory here at Enjuris. A second option is the State Bar of Arizona attorney directory. Enjuris tip: Learn more about finding an attorney and what questions to ask an attorney you’re considering hiring here. Arizona personal injury attorneys generally work on a contingency fee basis. This means that you won’t pay a fee unless you’re awarded damages. The fee is usually calculated as a certain percentage of the awarded damages. In Arizona, this percentage is generally somewhere between 25—35%. What should I expect during my first meeting with an attorney? Your first meeting with an attorney is called an initial consultation. Most attorneys provide an initial consultation free of charge. 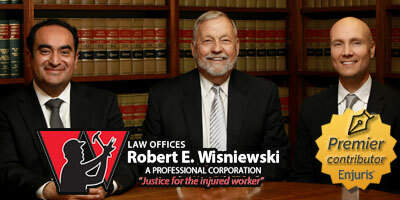 During the initial consultation, the lawyer will ask you a handful of questions about the accident and your injuries. You should also be prepared to ask the attorney questions so that you can decide whether the attorney is right for you. Enjuris tip: Download our checklist of things to bring with you to your first meeting along with a list of questions you should be prepared to answer. There are a number of steps to any personal injury lawsuit. Some lawsuits are resolved in weeks; whereas other lawsuits take years to reach a resolution. In general, the higher the damages, the longer the lawsuit takes. $20,000 x 1.5 (because a broken leg is considered a relatively minor injury) = $30,000 + $15,000 = $45,000 in total damages. Keep in mind that this is only a starting point. The amount can go up or down depending on a number of factors. Enjuris tip: Read more about how to calculate damages in your personal injury lawsuit. In Arizona, plaintiffs only have a certain amount of time to file a personal injury lawsuit. This time limit is determined by the statute of limitations. If you fail to file your lawsuit within the time limit, the defendant can have your case dismissed and you won’t recover any damages. The deadline to file a lawsuit in most personal injury cases is 2 years. However, there are some exceptions. For example, if you want to file a claim against a public entity, public school, or a public employee, you have to file a claim within 180 days. Enjuris tip: Read more about the applicable statute of limitations in Arizona. Have more questions about your Arizona injury case? We recommend meeting with a knowledgeable Arizona personal injury lawyer to discuss the specific details of your claim.